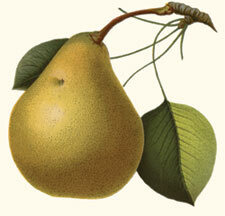 Ralph Waldo Emerson was a cultivator and connoisseur of pears. His protégé Henry David Thoreau grew beans on the shores of Walden Pond. So when David Robinson kneels, trowel in hand, to tend his hillside garden, the experience is not merely horticultural. It’s spiritual, too. And it links him to those eminent American philosophers and social reformers he has spent his career researching. “For me, as a gardener, one of the great moments in Walden is hearing Thoreau talk about protecting his beans from the woodchuck,” says Robinson, who holds the endowed Oregon Professor of English position at OSU. His trenchant scholarship — which won him the prestigious Distinguished Achievement Award from the Emerson Society in 2005 — reveals not only the poetic and mystical sides of the Transcendentalists. In his most recent book, Natural Life: Thoreau’s Worldly Transcendentalism, Robinson makes clear their bent toward the scientific, as well — their meticulous observations of the physical world, their detailed recordings of nature’s processes. The place where the inner and the outer worlds unite, Emerson and Thoreau argued, is where the greatest truths exist.